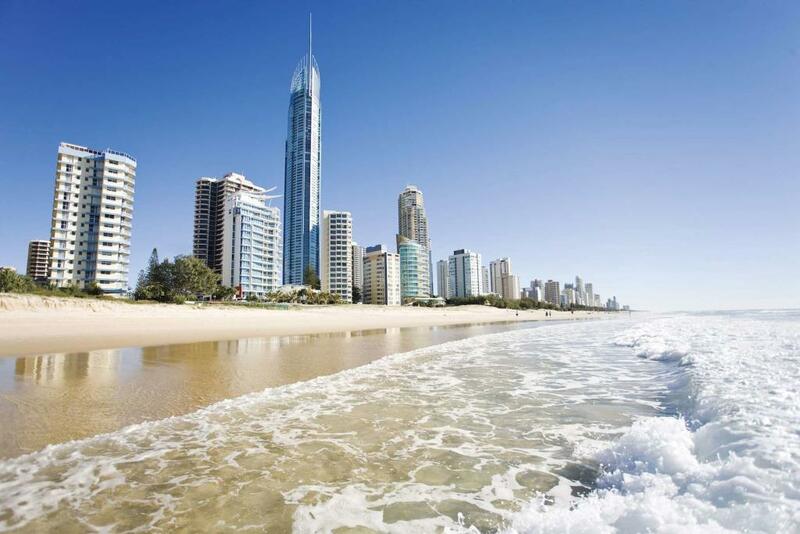 Wyndham Surfers Paradise is located in the heart of Surfers Paradise, ideally positioned to explore Gold Coast's many attractions, including the beautiful beaches, popular Gold Coast theme parks and non-stop entertainment. 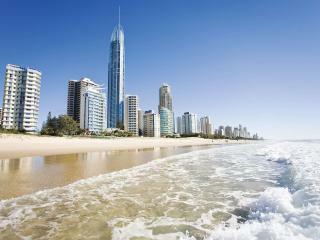 This is a great resort for your next Gold Coast holiday. This stylish Gold Coast accommodation offers one and two bedroom apartments, all featuring a fresh, contemporary design. All apartments are self contained, and feature European appliances and stunning views of the Gold Coast Hinterland and beautiful beaches. Facilities at Wyndham Surfers Paradise include an outdoor heated swimming pool and spa, restaurant, bar and cafe, and a recreation deck that features BBQ's with relaxed alfresco seating. Wyndham Surfers Paradise features one and two bedroom apartments, each with their own private balcony to enjoy the stunning views, and a fully equipped kitchen with European appliances and stone bench tops. 1 Bedroom Apartment: Room size is 75m². Bedding is 1 King Bed OR 2 Single Beds. Maximum room capacity is 4 Adults & Children. 1 Bedroom Apartment Ocean View: Features ocean views. Room size is 75m². Bedding is 1 King Bed OR 2 Single Beds. Maximum room capacity is 4 Adults & Children. 2 Bedroom Apartment: Room size is 110m². Bedding is 1 King Bed + 2 Single Beds OR 2 King Beds OR 4 Single Beds. Maximum room capacity is 6 Adults & Children. Guests can enjoy breakfast daily along with light meals and desserts during the day. Enjoy a coffee or glass of wine at the bar.